I love Tex Mex. It's my comfort food. My very favorite Tex Mex meal in all the world is at a place called Mia's Tex Mex in Dallas. The very best thing on the menu is their confoundingly fabulous and unforgettable brisket tacos. Tender, slow-braised beef smothered with rich, succulent gravy in a warm corn tortilla, with a little melted jack cheese sprinkled on top, and some sour cream and guacamole to top it all off. I don't think I've ever ordered anything else on the menu. Why mess with perfection? This is also a very economical meal. It's a wonderful way to use brisket, which is an inexpensive cut of meat. It's also a great way to get mineral-rich bone broth into your family. This recipe uses 4 whole cups. Things to do Ahead: You need to cook the brisket for 3-5 hours so plan accordingly. 1. Preheat oven to 300 degrees (or get out your crockpot). 2. Peel and thinly slice the onions. 3. Set the pan across two burners, set the heat on medium, and add 2-3 tablespoons of the fat. 4. If necessary, cut the brisket into 2-3 large pieces that will fit into your roasting pan. 5. Sprinkle the meat lightly all over with sea salt and freshly ground black pepper. 6. Add the remaining 1-2 tablespoons of fat to the pan and set on medium heat (again, across 2 burners). 7. When the pan is hot, add the meat and sear well until it is a nice brown on both sides (about 3-5 minutes per side). 8. Remove meat and sprinkle on both sides with cumin, cayenne pepper, and oregano. 9. If using a crockpot, transfer the beef to the crockpot. 10. Pour 3 cups of stock over the beef. 11. Cover with a lid and cook at 300 degrees (or on low in crock pot) until beef is very tender. It will take anywhere from 3 1/2 to 5 hours, depending on the cut and your oven. You will know it's done when you can stab it with a fork or wooden spoon and it gives way easily — it will shred easily with your fork. 12. When done, remove the meat from a pan and let rest on a cutting board for 10 minutes or so. 13. Meanwhile, steam the corn tortillas. Here's how I do it: Wrap a stack of corn tortillas in a dish cloth. Add a little water to a stock pot with a steaming insert. Add the tortillas, put the lid on, and let them steam for about 10 minutes. Set aside. 14. Set the roasting pan across two burners (or if you used a crock pot, transfer the meat drippings and fat into a pan). Pour off some of the fat if necessary — you only want a few tablespoons worth of fat. 15. Turn the heat on medium high and add 3/4 cup of stock. 16. Meanwhile, stir a couple tablespoons of arrowroot or corn starch into 1/4 cup of stock until it's well-blended. 17. Add the arrowroot and stock mixture to the pan. 18. Cook, stirring frequently, until it has reduced in half and it has the consistency of gravy. 19. After the meat has rested, slice it into 1/4 to 1/2 inch slices across the grain. 20. Spoon the meat into corn tortillas and smother with gravy. 1. Cut the avocados in half and remove the pits. Scoop out the flesh and place into a small bowl. 2. Peel and finely mince the garlic. Add to the bowl. 3. Rinse the lemon or lime, cut in half and using a fork or lemon reamer, squeeze out all of the juice into the bowl. 4. Coarsely mash all together. 5. Add sea salt and freshly ground black pepper to taste. Is there a GAPS legal sub for the arrowroot/corn starch? doesn’t sound as good gaps friendly but still pretty good. I LOVE corn tortillas and can’t wait till I can have them again! I too would love to know if there is an alternative to arrowroot or cornstarch that is GAPS friendly. Is Tapioca starch GAPS friendly? I’ve used that as a substitute before and it’s worked great! No starch of any kind is allowed on GAPS. The brisket would go great on veggies like steamed cauliflower rice or broccoli. I also find that any mexican meat works really well turned into a salad. I agree. I love “taco” salad. Yep, I prefer taco salad. Ok I know it’s no tortilla, BUT wrapping things in lettuce is actually pretty good! I love burgers wrapped in lettuce instead of a bun! OH. MY. GOSH. This sounds so delicious. I’ve always wanted a good healthy mexican recipe…this looks fabulous thanks! Did you see her Carnita’s recipe? It looks awesome also! Will have to try this recipe, it looks delicious! Yummmmmm! My favorite Tex Mex place (Baja Burrito in Nashville) serves amazing grass-fed brisket tacos. Can’t wait to try your recipe! This sounds fantastic– a bit like barbacoa at Chipotle. I might try it and use chard to make “tacos” instead of the tortillas. what do you mean “chard to make tacos”? Are you cooking the chard somehow? i’m just guessin’ she probably steams it a bit and then uses it (chard) instead of the tortilla shell? I am not sure what that means either, unless it is no carb way of having a shell. we use lettuce for shells a lot since GAPS. It’s actually really yummy. Can you do swiss chard raw? Sounds awesome. I just got back from the farmers market, so this recipe will have to wait until next weekend. I am drooling. We moved to Colorado eight years ago from the Dallas area and we gorge on Tex/Mex every time we go back for a visit. Wow! These sound great a nice change from our ground beef tacos. Yum! My favorite meal is the “Curry on the Richter Scale” at The Epicenter restaurant in downtown Los Angeles. 4 is mild. 6 is spicy. 8 gave me an ulcer. It was almost worth it. This is off the topic, but how many cups of bone broth is recommended for GAPS intro? 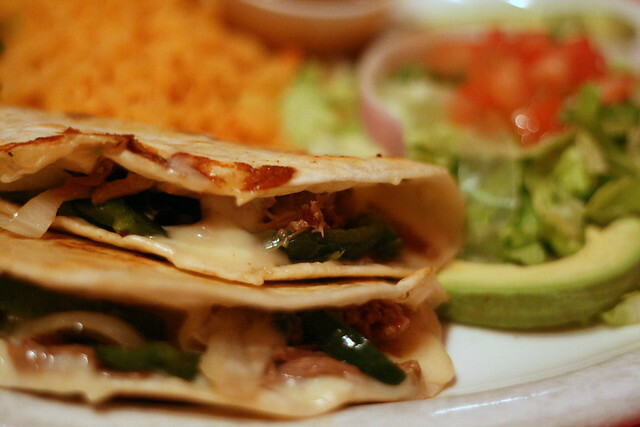 Yum, sounds delish….. where do you get sprouted corn tortillas? This recipe looks amazing! We love sprouted corn tortillas, but just recently have started buying masa harina and making my own (not sprouted). I bought Bob’s Red Mill brand, which says they soak the corn in lime first and then grind it. Is there any down side to doing it this way instead of buying the organic sprouted ones? (I figured this might be a little less expensive.) As long as the corn is soaked first, it should be okay–right? (The only thing I could think of is that Bob’s Red Mill masa is not organic, so I could be getting GMO corn. But there are organic masa’s out there.) Any thoughts, Cheeseslave? i’ve looked for organic masa…. can’t find it anywhere… you can purchase organic corn. i got mine at tropical traditions… haven’t used it yet, tho. To make GAPS legal tortillas, since we can do coconut flour, I’ve made a type of gordita (soft, thick taco bread) shells instead. Umm, lets see, 6 eggs to 3/4 cup coconut flour, TBS coconut oil, salt. Pour small pancake size amount into a HOT skillet (I used cast iron), and then spread it as thin as possibly by lifting and swirling the pan a bit. It’ll get to be about half again as big as the original pour. It only takes a minute or two on each side to cook. Remove them and put them on a cookie sheet. CAREFULLY, and slowly lift one side, to bend it over. Don’t bend it totally in half, but let the lifted side ‘rest’, lightly held down by something so that it cools into a taco shell shape. We used these as hot dog ‘buns’ the other night, too. That sounds very interesting. I am not sure what you mean about the bending part. Yep, I am a visual learner. But I am going to give these a try. she means = create a taco shell shape. If you don’t fold it over, then when you try to fold it when cooled- it will just break in half. Thanks for the clarification. Do you need to support the folded-over end so that it doesn’t dry too closed and you cannot open it to put in filling? I added this to my stash of recipes. Thanks for posting, Blessed Farm. sounds like a grain free crepe! My daughter and I will be in Dallas next week… I think we’ll have to check out Mia’s! Any other Dallas recommendations? I’M GOING TO DALLAS IN NOVEMBER. I just registered for the conference!! So excited. I live in Dallas! I’m totally excited for the conference too!!!! Thanks for the great suggestions! We are only there for five days and at least two of those are competition days (judo Junior Nationals tournament) but we need to eat good food, right? I’d like to take her someplace fun too, she’s 15, maybe a waterpark? Any other ideas? What part of dallas will you be in? We will be at the Marriott, where the tournament is being held, 15 min from DFW. I’ve never been to Dallas before so I have no bearings yet. The tournament has been scheduled for some time now but I just added on a couple extra days last night so we could see at least a little sliver of the city. Are we near anything? Looks amazing… think I might have to give the Bee Sting a go too! ok- I’ve gone back through the comments- and I guess I’m just missing it…..what is “the bee sting”???? On Whiskey Cake’s “elixir” menu… tequila, lime and grapefruit juices, Cointreau, agave and jalapeno! Hence the sting? Love the sides they offer too: sweet potato hash, roasted broccoflower, pea succotash, napa slaw, poblano corn grits… and the appetizers, wow: fried green tomatoes, Texas blue crab cakes, mesquite grilled mussels. I would probably have to visit at least a couple times before I ever even ordered a regular meal! Homemade beef jerky? Who has ever seen that on a restaurant menu? Yum! Btw- fried green tomatoes- AWESOME! So was the roasted chicken. My hubby got the braised short ribs- and they were good- but he is used to me bathing braised meats in buttery sauces- so he thought it was over done. The steaks smelt amazing!!!! Had we smelt them before ordering- I’m sure one of us would have gotten a steak! I just looked at their website. Looks fabulous. Wish I lived closer. And wish there were more restaurants like this. That is so sad. It makes me so sad to see all the mono-crops on so many farms in Ohio. Everywhere is soybeans and corn rotated. And all using chemicals. I wish more farmers would realize the benefit of going organic. But farmers have it tough. It is not easy or cheap to keep up with the pressures of modern society. Where in Ohio is your in-laws’ farm? chipotle is about the closest it seems to that……. That is the only place I can eat without risk when we go out. We have a local Tex mex place that is all fresh as well. I have heard some people say that Chipotle always make them sick to their stomach. Is there something about Chipotle that we don’t know? Oh I certainly don’t think Chipotle is the holy grail! I’m sure they still cook everything in canalo/soybean oil. The plus about them is that they don’t short cut their ingredients and use fillers. So- real sour cream, real beef, real pork, ect ect. I have only eaten there once, but I liked it. We don’t eat out very often because my son reacts to so many food additives. Friends have been bringing meals over to support us- esp since I’m not supposed to be off my feet. As a result my normally very well behaved kids are BOUNCING off the walls with all the processed food. Thankfully I have my broth! Yep this is why we make Mexican food at home! Oh ANNMARIE! And you are in Cali too which means good Mexican food, too bad you can’t partake! Wow this looks wonderful! I have a brisket in my freezer. When I’m allowed to be back on my feet (hopefully next week)- this will be one of the FIRST recipes I do! riceinmay, Back on your feet? Did I miss something? Are you okay? It’s been a rough couple of days. It was kind of you to check on me. I lost my baby at 20 weeks, I was induced and delivered him on Wednesday. So I’m not allowed off my feet right now. I’m incredibly glad I have broth in the freezer. It’s been weirdly comforting to sit and sip a cup of broth. I’ve been a bit caught off guard by how much it hurts. Thankfully my hope and faith is in my Lord and Savior, and I know my Elijah is in his arms right now. I hope your body heals quickly and your heart finds peace. My heart goes out to you. Now I really do wish I lived closer to bring you a healthy meal or lend a hand. I wondered why I hadn’t seen posts from you. I commented elsewhere to you before I saw your response here . . . i told you that i missed seeing your comments yesterday. That is so kind, thank you. Being on this page is a welcome distraction right now. I will be praying for comfort for you riceinmay. I’m so sorry that you don’t get to see little Elijah for a long time. We lost our first grandbaby a year or more ago at 10 weeks. I was very surprised at how much it hurt just for us as grandparents. Sending hugs. Honestly, I’ve been quite caught off guard about how much it hurt. I never realized how much pain you can have from losing someone you’ve never actually met. oops- just realized I expressed the same sentiment the other day. Guess it’s really what’s on my mind…..
Wow, Riceinmay! I’m sorry to hear about your loss. I can’t imagine what it would feel like to lose a baby. My heart goes out to you and your family. May the Lord comfort you during this very hard time. Thank you Erica. Certainly makes you appreciate those around you more. I’ve never thought my 2yr old and 6 yr old were cuter, or sweeter, or dearer than I do now! I am glad you have them to love and appreciate. and for them to love you. Love love fresh Mexican food!!! Oh, these look really good. Yummy! Can’t wait to try this- so wishing I had grassfed brisket in the freezer!… Is there another meat that I could also use? beef tongue is the bomb! I’m dying to make another recipe with it. I tried tongue once and didn’t like the texture. Of course, when I was a kid, I couldn’t stand mashed potatoes because the texture made me gag. I like mashed potatoes now. Hehe! How could you not LOVE mashed potatoes???? They are the ultimate comfort food! Glad your tastebuds had a change of heart! I made this recipe earlier this month, and it came out great. Note that the directions about what to do with the sliced onions is missing. I just piled the onions on the the meat before I covered the pot to put in the oven. I used a 5 qt enameled cast iron Dutch oven and I needed to cut the brisket in two to make it fit. I browned the meat in two batches so it wouldn’t steam from too much released moisture. I didn’t take stop cooking the meat until it was really fall-apart tender – I don’t know the exact time but it was definitely the upper end of the cooking time listed. I thought there was a lot of gravy left over, too much really. I spooned some over the meat to keep it moist, but most of it went into soup with the leftover meat (diced up) the next day. But otherwise I’d reduce the amount by half. Today my husband made this recipe at my suggestion (I’m trying to get my son to cook with him one night a week, and I had a brisket ready to go), and he ran into some trouble (he doesn’t think so, but his cooking skills are a bit rusty IMO, because I’ve happily done most of the cooking for us for the past 15 years). He noticed the lack of instruction for the onions, too, so he sauteed them before he put them in with the meat to cook (an unnecessary step IMO). He used the Crockpot and cooked the meat for the full 5 hours, but that wasn’t nearly enough time – the meat wasn’t fall-apart tender at all – it was pretty chewy unless the slices were further cut into little bits. I’d suggest at least 6 hours for cooking if a slow cooker appliance is used, and probably more like 7-8 hours would be better, or a High heat setting for at least part of the cooking. Definitely allow as much time as the meat needs to become fall-apart tender with either the oven or the slow cooker method. It’s better to start the meat very early, have it finished early, and reheat it than to run out of cooking time and take it out too soon.